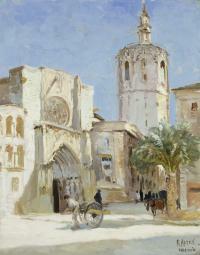 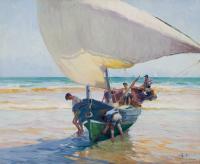 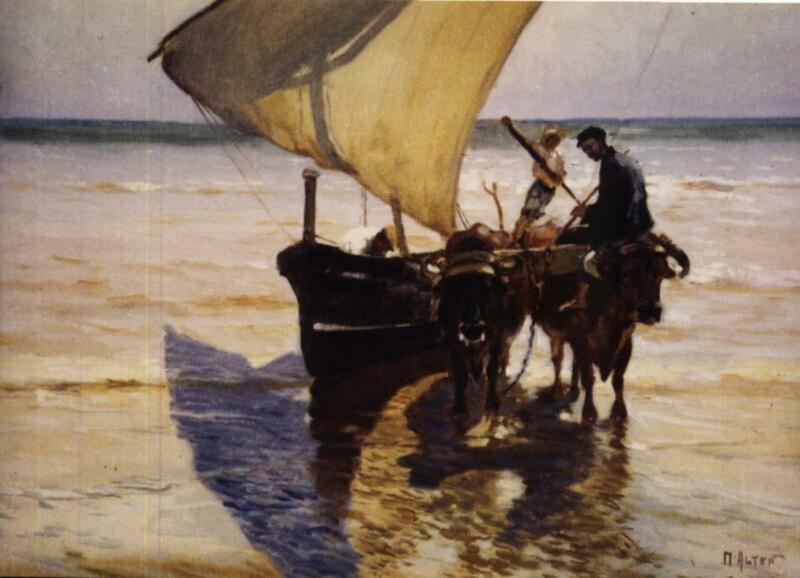 Alten spent much of his time near Valencia painting Mediterranean coastal scenes at Cabañal. 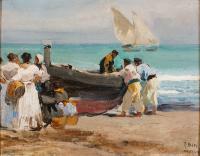 He made the beach at El Cabañal his base while staying in Spain and from there traveled to Italy, Austria, and Germany. 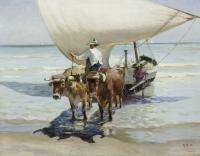 Two people. 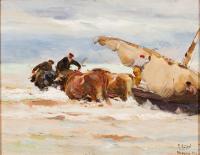 Two oxen. 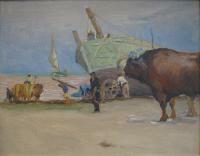 One man is sitting on an ox as both oxen pull a sailboat to shore.